BRATISLAVA, Jan 22 2018 (IPS) - A landmark programme to combat drought set to be implemented in the small Central European country of Slovakia could be an inspiration for other states as extreme weather events become more frequent, the environmental action group behind the plan has said. The H2odnota v krajine (Value of H2O in the country) plan, which is expected to be approved by the Slovak government this Spring, includes a range of measures which, unlike many plans for drought, is proactive and focuses on prevention and mitigation instead of reacting to drought once it has occurred. Southern Slovakia’s climate is rapidly becoming closer to that of northern Italy or Spain. 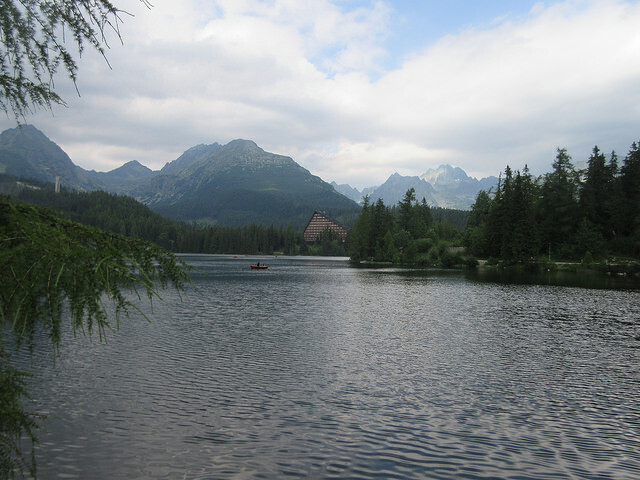 Richard Muller, Regional Director for Central and Eastern Europe at the Global Water Partnership, an international network of organisations working to promote sustainable management and development of water resources, helped draft the plan. He told IPS: “A few of the measures in this plan have been adopted in other countries as part of climate change adaptation, but Slovakia is the first country in the region to have this kind of action plan to combat drought. The focus of the plan is on preventive measures in a number of areas, specifically agriculture and forestry, urban landscape, water management, research and environmental education. The measures involve projects to modernise irrigation systems and change forest structure towards better climate change resilience as well as rainwater harvesting, tree planting, development of green spaces, green and vertical roofs and rainwater infiltration in urban landscapes. It also covers water management, dealing with preparatory work for reconstruction of smaller reservoirs of water and green infrastructure, including wetlands restoration. There is also a crisis plan to supply water to different sectors of national economy during prolonged drought while it also involves programmes for public education and raising awareness of drought and water scarcity. Together, these measures should, Muller explained, mean that even if and when there are long, dry spells, there will be some mitigation of the effects. “Other countries have plans for drought, but in some, such as the USA, measures are related to dealing with drought after the event. But the Slovak plan is focused on prevention and action beforehand,” he said. Slovakia, like many other countries around the world, has seen an increased frequency of extreme weather events in recent years, including record heat and drought. Last year, some parts of the country saw the driest first half of the year in over six decades while there was a very severe drought during 2015 when there were 23 days classified as super-tropical, i.e. with maximum temperatures of over 35 degrees Celsius. This was compared to a maximum of five such days per year in years prior to 1990. Similar droughts have been experienced across the wider central European region – in the Czech Republic conditions in last year’s drought were particularly severe with serious water shortages reported – and intergovernmental talks on drought, other extreme weather events and the environment have taken place over the last year. The Slovak plan has already drawn interest from other governments, being praised by officials at a meeting last November of the Visegrad Four group – a political alliance of Poland, Slovakia, Hungary and the Czech Republic – in Budapest. As the plan is focused on prevention, its effectiveness during times of drought may not be immediately noticed by many. But even when there is no drought, it has the potential to effect a positive change. “Some of the measures in the plan will improve people’s quality of life, for instance in towns and villages, through things like rainwater harvesting, tree planting, the development of green spaces, vertical and ‘green’ roofs and rainwater infiltration” explained Muller. But while the adoption of the plan has been welcomed and it seems set to benefit Slovaks even in times when there is no drought, the need for it at all highlights growing concerns over the rapid changes in the country’s climate and what they could mean for its water supplies and use. Slovakia has a relative wealth of groundwater sources due its specific geology and, historically, droughts have been infrequent and water shortages rare. But the drought in 2015, which was the worst in more than 100 years, was, largely, what prompted the Slovak government to begin work on the action plan – “the government wants to be prepared if it happens again,” said Muller. And the drought last year only reinforced its determination to push on with it. More frequent and intense droughts are almost certain in the future, climatologists predict, as the climate in Slovakia changes. 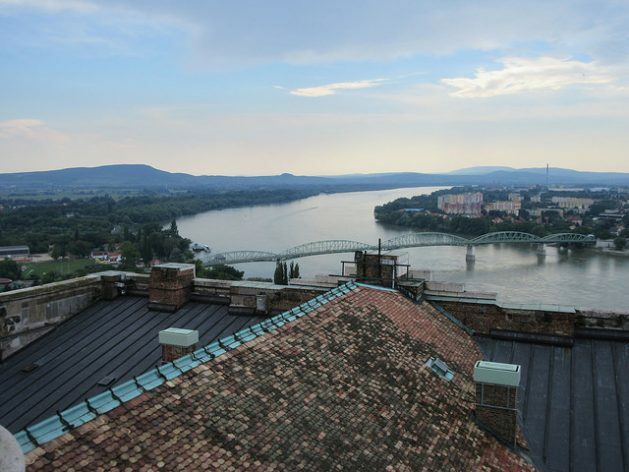 Local climatologists agree that Slovakia’s climate zones are pushing northward and that southern Slovakia’s climate is rapidly becoming closer to that of northern Italy or Spain. According to the Slovak Hydrometeorological Institute, the average annual air temperature in Slovakia rose 1 degree Celsius between 1991-2014 compared to 1961-1990. With these higher temperatures comes not just greater demand for water but a higher risk of more frequent, intense and widespread drought. Indeed, official data from the Slovak Hydrometeorological Institute shows that in the last three years some part of Slovakia has been affected by drought. Muller admits that the current action plan may not be enough if worst-case scenarios of climate change come to pass and extra measures might be needed decades in the future.